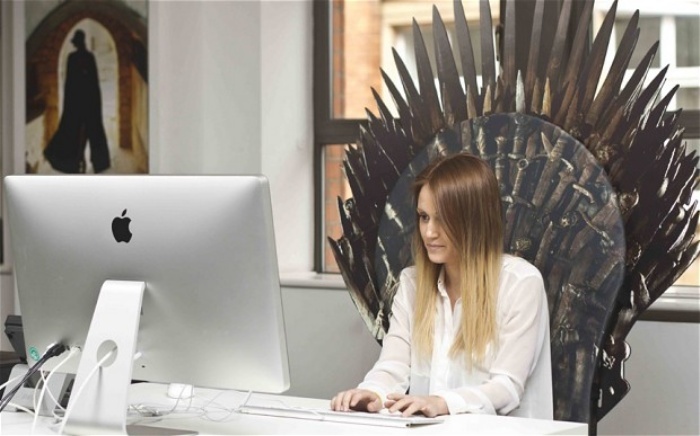 Want This: Iron Throne Chair Backboard | OhGizmo! Everyone on Game of Thrones is fighting for the throne, but you can have it–at least, your very own, non-iron throne–thanks to Telegraph UK and Now TV. The pair are giving away a replica of the throne of swords that comes with the throne backboard and a cushioned seat. Actually, it’s more of a seat than an actual throne since it’s meant to be attached to an armchair or an office chair. The bad news? The competition is only open to UK residents (so if you are from the UK, then lucky you. You can head on over here to check out the giveaway deets.) You can probably make your own if you’re resourceful and actually have the time to put one together.